Last week I met with OUR Walmart organizers in the San Francisco Bay area who are building towards the historic strikes at Walmart stores across the United States this Friday, November 23rd. I heard of the exciting and creative actions workers are organizing, and of their courageous commitment to speaking out and fostering unity. It is clear how much support there is for retail workers within their communities, in unions, and among elected representatives. This growing coalition is a powerful statement on the present and future of the retail workers’ movement, and on the ever-increasing awareness of the importance of revolutionizing retail for the good of those working in the sector, and our societies, more broadly. This movement is truly historic and laying the foundation for a more hopeful future. For a list of Black Friday Action, click here. To sponsor a striker, click here. 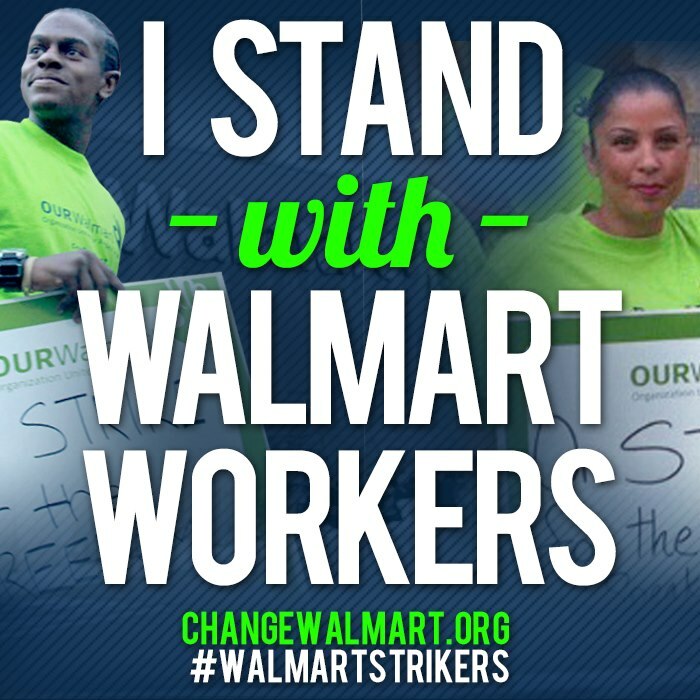 To read a thorough but concise breakdown of the Walmart strikers’ issues, click here. To read the International Transport Workers’ Federation statement on their solidarity actions, click here. To read the new Demos report on retail wages, click here. Retail workers in Toronto, Canada, including those in CAW Local 414, are working to keep the current nine statutory holidays as days off for retail workers. Read about their efforts here. Given how hard folks in retail work, and often for so little, this is an important work-life issue. It also could encourage discussion about paid holidays for retail workers. Some unionized retail workers have paid holidays through their collective agreements, but most do not. As a comparison, all retail workers in Sweden enjoy five weeks of paid holidays.